If Aaron Paul loves them, then so should you. 1. This is ∆ (pronounced alt-J), and they just may be the best band you have not yet heard of. 2. 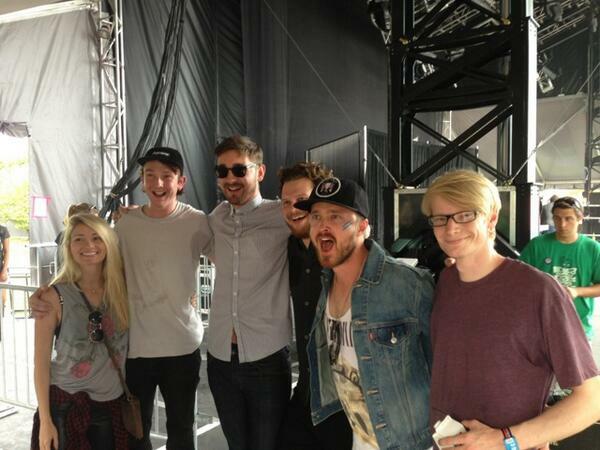 With a hauntingly ethereal sound, alt-J is vaguely reminiscent of both Mumford & Sons and King of Limbs-era Radiohead. 3. The band was formed in 2007 by four friends who met at Leeds University. 4. The four members include: Joe Newman— guitarist and vocalist. 5. Gwil Swainsbury— guitarist and bassist. 7. And finally Thom Green— drummer. 8. The band was originally called "Daljit Dhaliwal," after British TV presenter, Daljit Dhaliwal. 9. Their second band name was "Films," which they changed when they discovered there was already an American band called "The Films." 10. 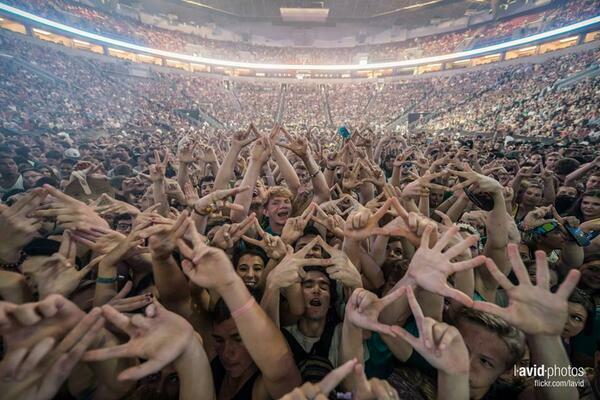 Their current name ∆, comes from the Greek letter "delta," which is used as the mathematical symbol for change. However it's pronounced "alt-J" because if you press alt + j on a Mac computer you get the symbol ∆. 11. It seems as if they picked the right name as their fans have happily embraced the ∆ as a symbol for their intense dedication. Note the general mania below. 12. Their fan base even includes a few celebrities. Aaron Paul (aka Jessie from Breaking Bad) loves them. 13. And they love Aaron Paul. 14. Ellie Goulding is a big fan, too! As is evident by her sick cover of their song, "Tessellate." 15. Recently they appeared on Late Night With Jimmy Fallon. 16. Oh, and they also wrote a song for the Silver Linings Playbook soundtrack. NBD. 17. But celebrities aside, they are INSANELY good live. 18. And there are few light shows quite as sweet. 19. Here's a longer clip of their live show at 02 Academy Brixton. Watch it, you won't regret it. 20. Like their shows, their music videos are also pretty visually stunning. 21. But most importantly, they take THE BEST band photos. Look at these guys in their ∆-shaped glasses! I mean come on, this is too cute. Apologies if it's not cool to be "cute"— but you are— so deal with it. 22. The answer is clearly, NO. 23. Also they're currently on tour, so make sure to check out them out live. Now treat yo' self and listen to "Something Good."